What would you do if you were planning a big event (say, a wedding), but your trusted makeup artist couldn’t be by your side? 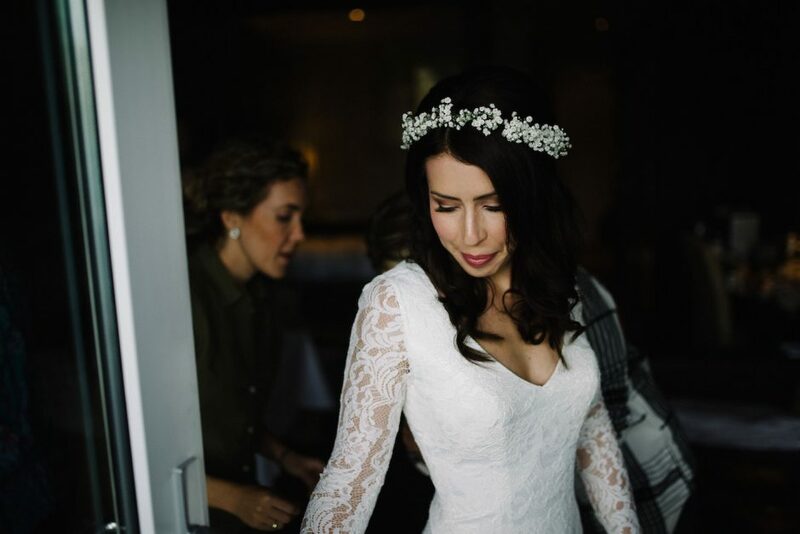 Real bride Melissa recently faced this dilemma for her small destination wedding in Ireland. Not having the opportunity to do a trial with a local artist, Melissa wanted to create a look she could count on for her special day. And that’s where our makeup lesson comes in! 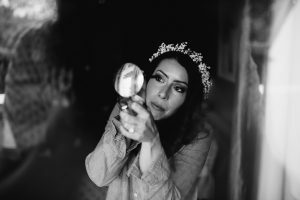 In lieu of hiring a makeup artist in Ireland, Melissa chose to apply her own makeup — but not without the help of an expert. A couple of months before the wedding, Melissa came in for a full makeup lesson with Karen. Throughout the one and a half hour session, Karen carefully went through Melissa’s existing makeup (and added a few new products!) to help her create her perfect wedding day look — glowing skin, smokey eyes and the perfect shade of pink lip. The beauty of a makeup lesson is that our makeup artists start using your very own products. We carefully access what works for you, as well as what doesn’t. We take into consideration your face shape, features, coloring, and especially in the case of a special event, what photographs best. Karen prepped and primed Melissa’s skin with an oil-free primer, then started with Melissa’s eye makeup (an insider trick to avoid fallout from ruining your foundation and concealer!). But first, brows! Karen accentuated Melissa’s natural brow with SENNA Sketch A Brow in Blonde and SENNA Brow Fix X Setting Gel in Clear. She then created a golden brown smokey eye using Melissa’s own eyeshadow palette, selecting the colors that best complemented both her eye color and skin tone. To balance the colors on the lid, Karen brought them under the eye to create a ledge — a great way to line the eye without the harshness of dark gel or liquid liner. She then tightlined the upper lid with a black gel liner to make Melissa’s eyes pop and stand out for the camera, one of Karen’s top tips for event makeup. Following the eyes, Karen began to create a luminous glow for the face. She created a smooth canvas with the help of foundation, with a bit of concealer under the eyes to mask any darkness. Karen then added a subtle highlighter with SENNA Ray of Light Perfecting Wand, using Soft Pink under the eyes, and Beige to highlight the cheek bones and bridge of the nose. To add a natural flush, Karen used a pale pink blush on the apples of the checks, blending outward towards the hairline. She used the same blush to along the edge of the forehead as a subtle contour and to bring the look together. Karen then finished the look by mixing several light pink colors from the Eve Pearl lip palette — one of our favorites here at Kiss ‘N Makeup due to its versatility. 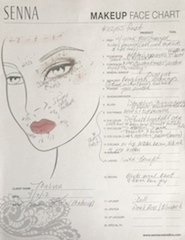 As with all of our makeup lessons, Karen documented every step she took in our makeup face chart so that Melissa could easily recreate the look for her big day (or any future event). 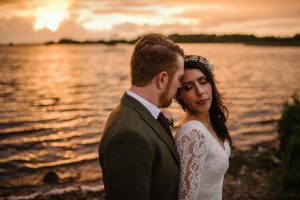 She’s shared a few of her wedding photos from Epic Love Photography with us, and we think she did Karen justice! 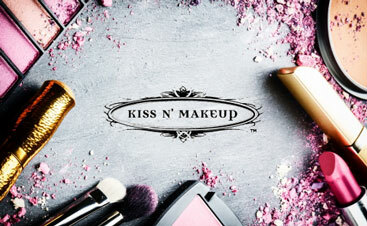 Interested in booking a makeup lesson for a special event or for your every day makeup? Contact us to schedule an appointment!